Lori Goss, PTA, earned a bachelor’s degree in Health and Physical Education – Human Performance from Edinboro University. 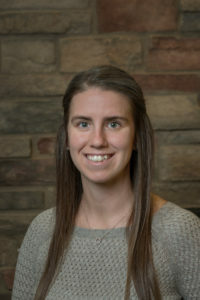 She worked as a physical therapy technician at Hertel & Brown for three years while completing her Physical Therapist Assistant (PTA) degree at Mercyhurst North East. After completing her education, she joined the H & B team as a full-time PTA. She has interests in orthopedic and sports-related rehabilitation, neurological dysfunction and manual therapy.